Seattle Opera Blog: ARIA READY: Rodolfo's "Che gelida manina"
ARIA READY: Rodolfo's "Che gelida manina"
People sing for much the same reasons that birds do, particularly to stake out their territory or to attract a mate. Surely one of the most well-known and beloved 'mating call' arias in all opera is Rodolfo's "Che gelida manina" from La bohème. It's a great aria for a lyric tenor to show off the beauty of his voice and the ease and quality of his high C (when he gets to the word “la speranza,” hope). He sings this aria in order to woo the soprano character, Mimì, so this aria really does stand or fall as a mating call; Rodolfo's motivation here is to make his listener fall in love with him. What a frozen little hand...may I warm it? The night is dark and cold. But soon the moon will rise to warm us. Up here, the moon is our neighbor. Wait with me, miss...and I’ll tell you who I am, what I do, and how I live. Would you like that? Who am I? Who am I! I am a poet. What do I do? I write. And how do I live? I live. Poor but happy, I squander rhymes and love songs like a great lord. When it comes to dreams and dragons and castles in the air, my soul is a millionaire! Every now and then, two thieves steal all the riches from my treasure chest. Your eyes are the thieves. Just now they stole my ordinary dreams and my most cherished dreams, all of them are gone. But it doesn’t bother me. Because something even better has taken their place: hope! Now that you know who I am, talk to me. Tell me: who are you? Would you like to tell me? 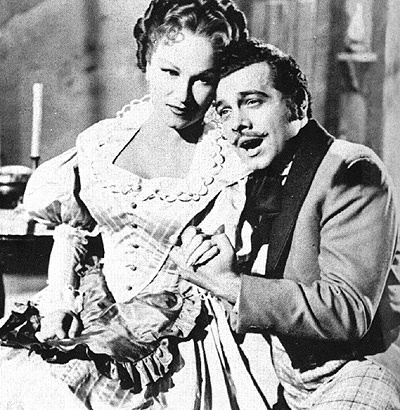 Mario Lanza sang "Che gelida manina" to Dorothy Kirsten in the film The Great Caruso. What makes Puccini the dominant opera composer of the 20th century is how photographically naturalistic and real this scene is. He created it in 1896, a few years before film-makers had started figuring out how to tell a story photographically. Puccini had his librettists write a speech that moves from the conversational and prosaic, to the rapturous and lyrical, then back again; but it flows as it would in real life, without sounding artificial, like most opera poetry. The text also captures the wonderful tension between a young man who's tender and sensitive, constantly checking in with her, and one who's really quite taken with himself. And Puccini wrote music that follows the natural patterns of the words; listen in particular for the jerky punctuation of the passage that reads "Who am I? Who am I! I am a poet. What do I do? I write. And how do I live? I live." Listen, moreover, for Puccini's sneaky use of melody; he gets the tune in first while we're paying attention to something else, so that the melody feels familiar and natural when it's time for it to take center stage. Although on a computer the visual tends to dominate the aural, we have a couple of YouTube "Che gelida maninas" to share with you today. (Careful, though--a YouTube search yields thousands of results for this extremely well-known aria!) First, take a peek at Rolando Villazón singing the aria, from the beautiful 2008 film adaption of La bohème also starring Anna Netrebko. Let's compare that recent "Che gelida manina" with this one, from a black-and-white PBS airing starring Nicolai Gedda as the poor, lovestruck poet. Which mating call works for you? From February-March 2013, we'll have two tenors sing Rodolfo in our production of La bohème: Francesco Demuro and Michael Fabiano (the latter making his Seattle Opera debut in the role). This Wednesday, we'll check in with Demuro and get his impassioned thoughts on his character and this aria. In the meantime, we'd love to know your favorite interpretations of "Che gelida manina." Share with us your Bohème memories or links to some favorite videos. YouTube is a great place to start, with more than 2,190 results for this aria alone!